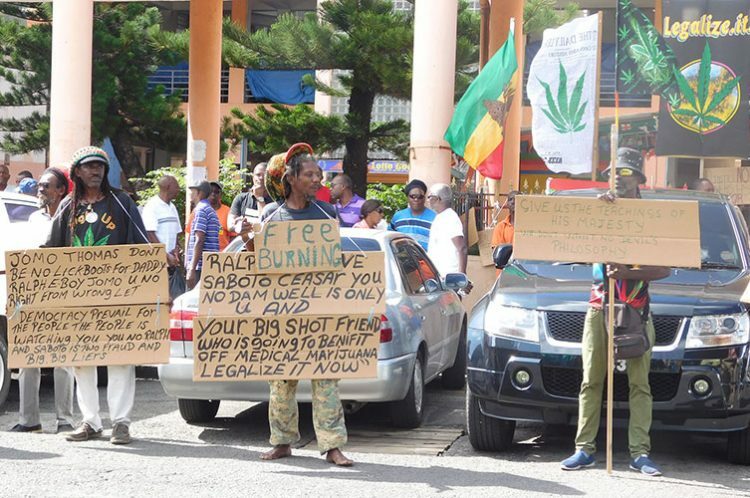 The government shelved, for the time being, the ‘Permitted Use of Cannabis for Religious Purpose Bill’, because of certain points made by members of the Rastafarian community. Speaking in Parliament on Monday, Prime Minister Dr Ralph Gonsalves said that during the Select Committee presentations, members of the Rastafarian committee gave cogent reasons as to why the government should not proceed with Permitted Use of Cannabis for Religious Purpose Bill. He said reasons were presented in the Rastafarians’ philosophy and their practical assessment of all the circumstances. “Basically, they said as matter of their philosophical approach, their levity, is that the State cannot accord them the right to practice their sacrament. “That is a right that belongs to them inalienably and that the State hitherto had been coercive in implementing that law and that they suffered, they were fined and, in some case, jailed and they continued their practice as using marijuana as a sacrament,” said the Prime Minister. He said the Rastas also noted that given the state of the International Narcotics Conventions, that the International Narcotics Board out of Vienna, Austria will come to see how this bit of legislation is working. “…and they don’t want any international body come to see how they are conducting themselves in their tabernacles,” said Gonsalves. The Prime Minister said that the points were practical ones and the government accepted them and there will be further discussion on the issue. This week the government passed two other bills, the Medicinal Cannabis Industry Bill and The Cannabis Cultivation (Amnesty) Bill.